How powerful is incoming socialist Congresswoman Alexandria Ocasio-Cortez's social media presence? According to Axios, Ocasio-Cortez has as many Twitter followers as all the other incoming 60 Democratic freshman House members combined, (based on numbers compiled by Elizabeth Hale at Mehlman Castagnetti Rosen & Thomas, a lobbying firm). In the next Congress, with so many young members, having a strong digital presence could be more important than seniority. Ocasio-Cortez in particular has used Twitter (1.38 million followers) and Instagram (just under 1 million followers) to connect people around the country, promote policy platforms and troll Republicans before she's even started her official job. 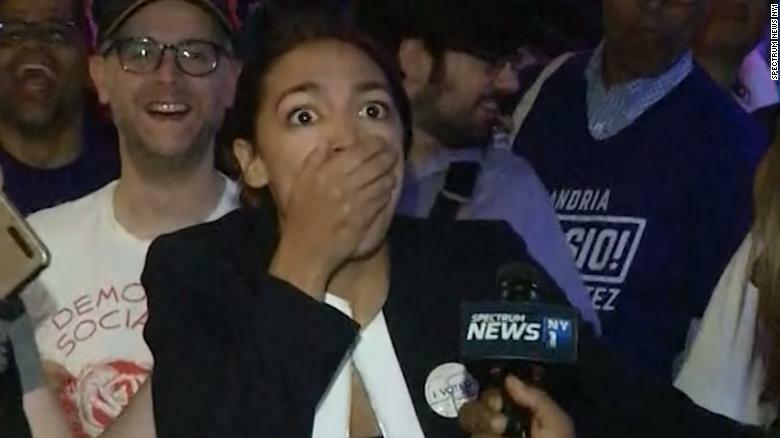 Ocasio-Cortez has shown that she knows how to generate entertaining and informative social media messages to connect with her followers. During the orientation week for congressional freshmen, she took her Instagram viewers along on, among other events, a walking tour her new Capitol Hill environs and a how-to on her black bean recipe. You know what might be a fun long-term project? It would be to chronicle her assertions about free this and free that and her excuses when she inevitably fails, as she necessarily must given the action axiom and everything derived on top of it. The bad thing for them is, their proposition is fundamentally flawed; non-voluntary associations and tasks do not go on forever. But luckily for them, they'll never run out of excuses as their intellectual opponents can be easily labelled as "men", "white women", etc. So true and now that you have put that out in the world someone will listen. Social networking will be viewed as the match that has "murica burn.